Since the 2011 popular protests, the elections in Tunisia, Iraq and Lebanon can be seen as “freer” elections in the Arab world, not least because they haven’t taken place under an autocratic regime. This does not mean, however, that their organization has met high democratic standards; numerous violations of the law have taken place, especially in Iraq and Lebanon. With three papers focusing on these three countries, the Arab Reform Initiative offers an analysis of the stakes of the recent elections and results of as well as some perspectives for the future of each country. As the authors of the papers show, in all three countries, the political debate remained very poor. Parties chose vague slogans that do not reflect the deteriorating socio-economic conditions and endemic corruption as the main concern of the citizens. This led to a low turnout, which is an indication of voters’ disengagement – even though these elections came after a long period of waiting and repeated postponing, as was the case in Tunisia and Lebanon. The 6 May municipal elections in Tunisia were the first local elections since the revolution. Their low turnouts are a clear illustration of the trust deficit between citizens and the political class as explained by Asma Nouira in her paper. This crisis is also manifest in many voting in favour of independent candidates. A number of candidates were elected on lists that were not backed by Ennahdha or Nidaa Tounes, Tunisia’s two main political parties. The legislative elections in Lebanon, held also on 6 May, saw only one civil society candidate make it to parliament, although the lists of civil society candidates were able to win many votes by citizens disappointed with the traditional political parties. 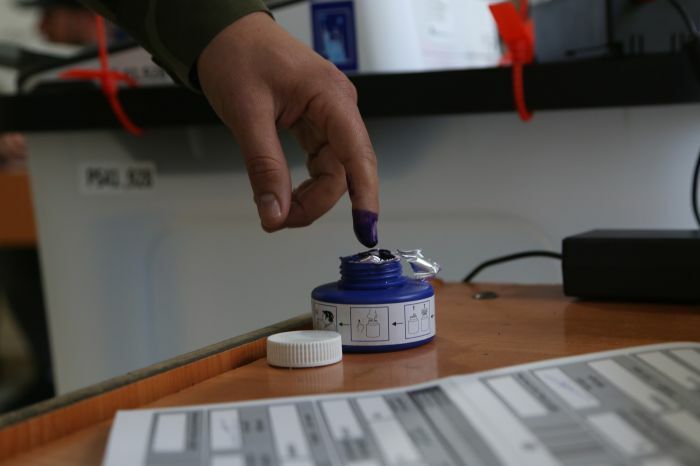 In Iraq, many civil society candidates were co-opted by political parties. For instance, many of the leaders of the anti-corruption movement were on Shia cleric Muqtada al Sadr’s list “Sa’iroun” (Moving Forward). In Tunisia, considered an exception in the post-2011 Arab world, the local elections have particular importance. One of their key objectives was to lay the foundations for an efficient working local democracy, especially that their stakes are different from those of legislative or presidential elections. In many municipal councils, the elections results gave no clear majorities and elected officials will have to work together regardless of their political party affiliations. These local elections were also meant to contribute to the consolidation of the nascent Tunisian democratic system at a time of socio-economic turmoil and of citizens’ disenchantment with post-revolutionary politics. The Tunisian elections – be they presidential, legislative or municipal – are strictly an internal process involving Tunisian actors. Tunisia remains outside of the regional turmoil induced by the rivalry between Iran and Saudi Arabia. This is not the case for Lebanon and Iraq where regional actors intervene in the electoral process through local allies. In both countries, the elections reflected a change of balance within sectarian groups. In Iraq, Muqtada al-Sadr has now the largest group in parliament whereas the Da’wa party lost many of its seats. Sunni political groups, too, have lost all credibility in the eyes of Sunni voters, many of whom voted for the list led by former Prime Minister Haider Al-Abadi. This shows the limits of the sectarian discourse adopted by many of the Iraqi political leaders (from all sects) and the rise of a new “national” discourse as explained in Isam Al-Khafaji’s paper. In the Lebanese case, the same intra-sectarian change of balance could be observed, with Hezbollah taking the lead over Amal within the Shia political duo, Hariri losing the elections and the rise of other Sunni leaders, and the new balance emerging between the two main Christian parties, the Lebanese Forces and the Free Patriotic Movement. However, many observers focused on Hezbollah’s – and by extension Iran’s – victory, disregarding the rise of political groups that are opposed to Hezbollah and to Iranian influence in Lebanon. This said, both Lebanon and Iraq will be facing the same challenge in the near future, that of forming a new cabinet. One common element to the elections in all three countries was the rise in the number of elected women. In Iraq, 84 women were elected. In Lebanon, only six women were elected (compared to four in the previous parliament), but their participation reached a record high with 86 candidates, and the only civil society candidate to win was a woman. In Tunisia, 45% of the votes were won by women, with Souad Aberrahim, Ennahdha candidate, winning the hotly contested seat of Mayer of Tunis, a first in the Arab world.